I don't want to sound like a broken record, but if you really want to give your sewing projects a professional finish then it's small things that will make a big difference. I know that once your pattern is cut, all you want to do is start sewing the pieces together. Believe me, if you take a few extra minutes to add some stay stitching, it will go together a whole lot easier. 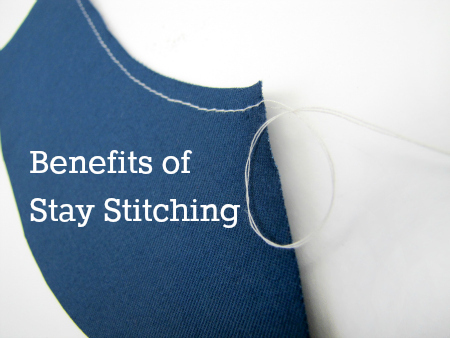 So what is stay stitching? 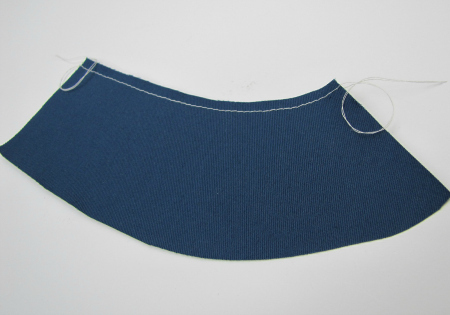 It is a single row of straight stitching that is added to pattern pieces such as interfacings, collars, cuffs or necklines that may tend to stretch out of shape. The stay stitching helps to keep the shape of your pattern piece so it aligns with other pieces. 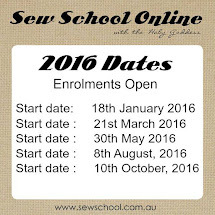 The row of stitching is within the seam allowance, usually about half way. If you are doing a 5/8 seam then do your stay stitch row at about 2/8. In most cases, the stitching will remain and not be removed. As it's within the seam allowance it will not be visible. I find it very useful when my fabric is cut on the bias such as the Jasmine pattern by Colette. Adding the stay stitching meant that the bias cut neckline didn't stretch out of shape and could be easily aligned and sewn. 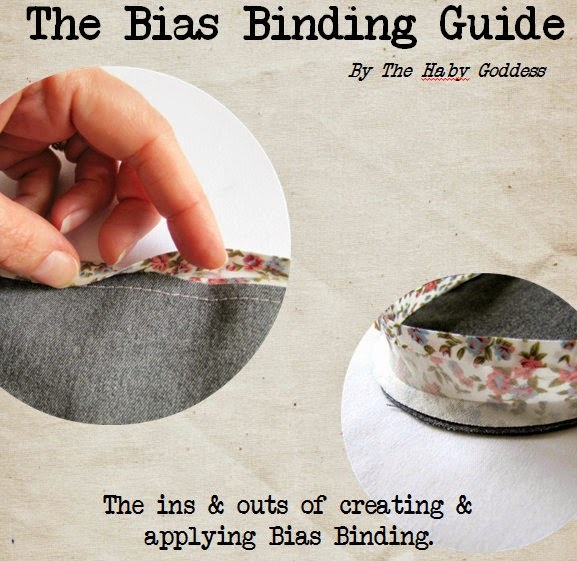 Welcome!The Haby Goddess is an online shop, a blog, a sewing school and a community for all things haberdashery. Items are sourced both locally and from around the world. This is a space for me to share with you all the crafty news from the web.